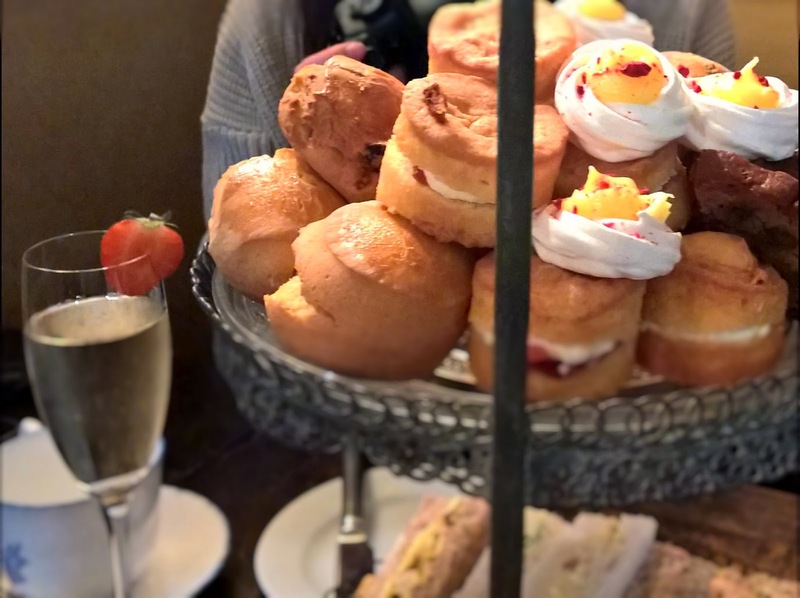 Earlier this month I joined some local food bloggers at Hotel Du Vin for Afternoon Tea. 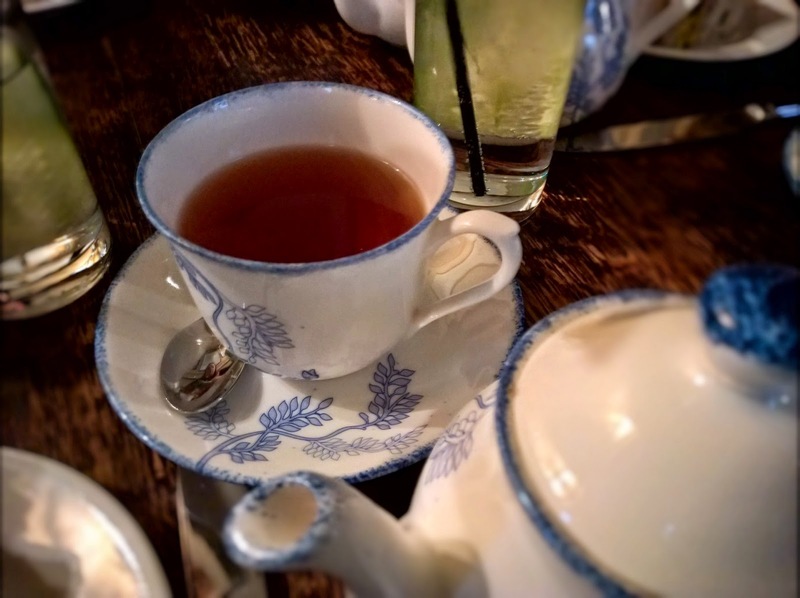 I love Afternoon Tea and chatting about food so it was a perfect afternoon for me! Hotel Du Vin is situated in the Colmore Business District, where the buildings are rather grand and beautiful. The hotel is no different and I was excited to see inside as I've never been before. We were seated in restaurant which has been decked out to resemble a cosy French bistro. We set about picking our teas and alcoholic beverages! I went for a G&T with Hendricks which was rather good value at about £4 on top of the Afternoon Tea price. For my tea I chose Darjeeling, as it is delicate and perfect with cake. 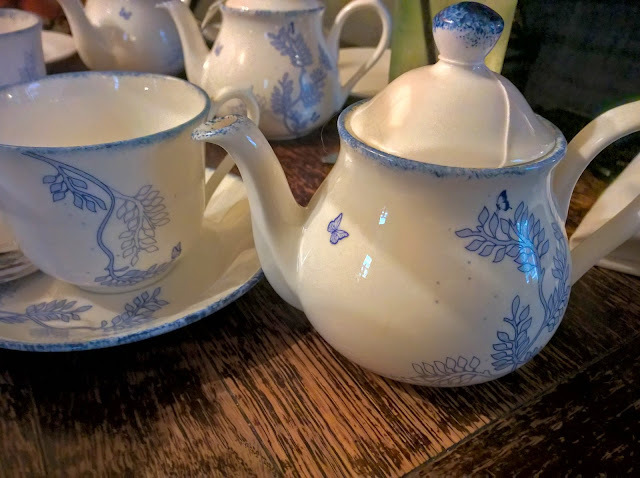 I loved the dainty crockery. The food arrived on two tiers- sandwiches at the bottom and scones and cakes on top. 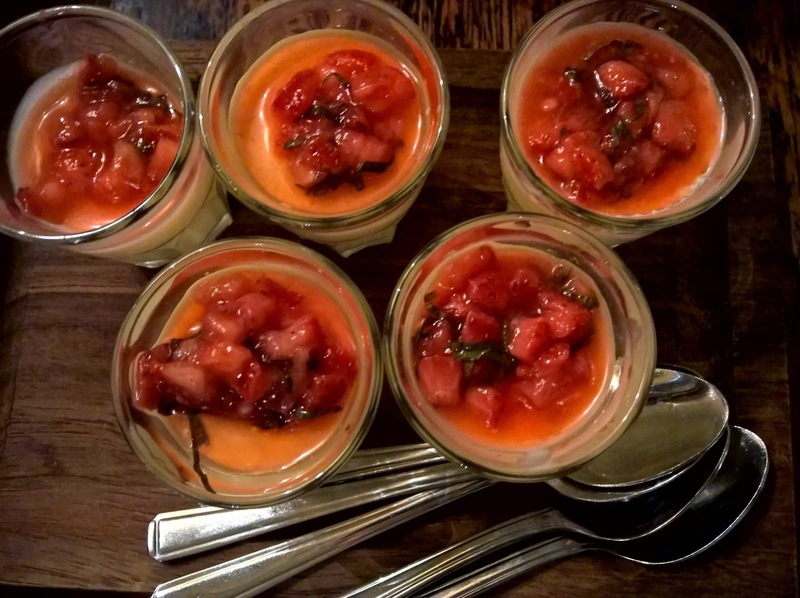 There were also some shot glass desserts on a separate tray. 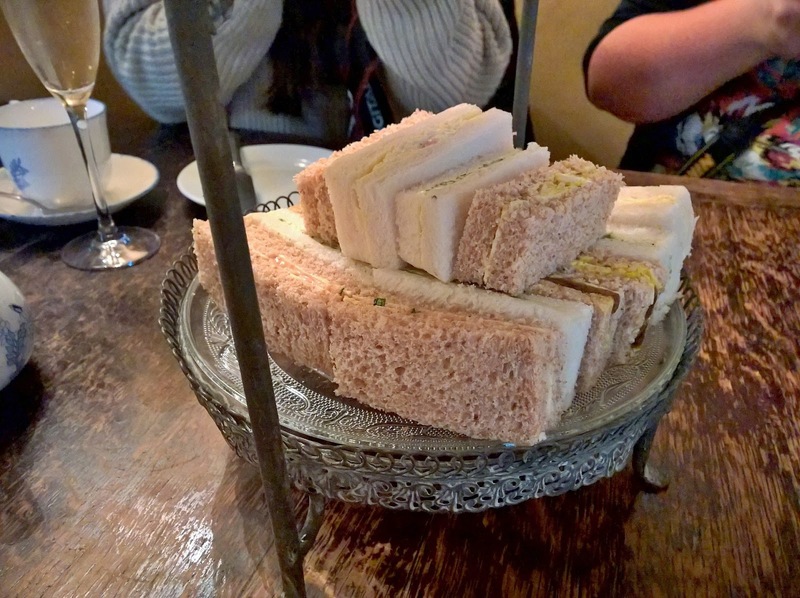 Sandwiches were very traditional. I had coronation chicken, which was tasty but there wasn't enough filling. Cheese and onion which I was dreading but was actually delicious. Prawn cocktail which again, I was dreading but then loved. Plus one other which I cannot remember for the life of me. Egg? Or salmon? I am a rubbish food blogger. I did enjoy the sandwiches but I also enjoy when there is something slightly different on the savoury tier. Hotel La Tour Rarebit dip I am looking at you. 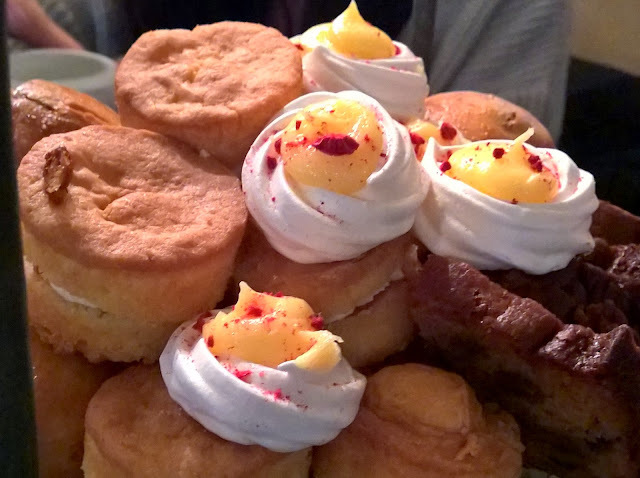 As mentioned previously, the cakes and scones were on the same tier which is quite unusual. It made for an excitingly large pile of cakes though! 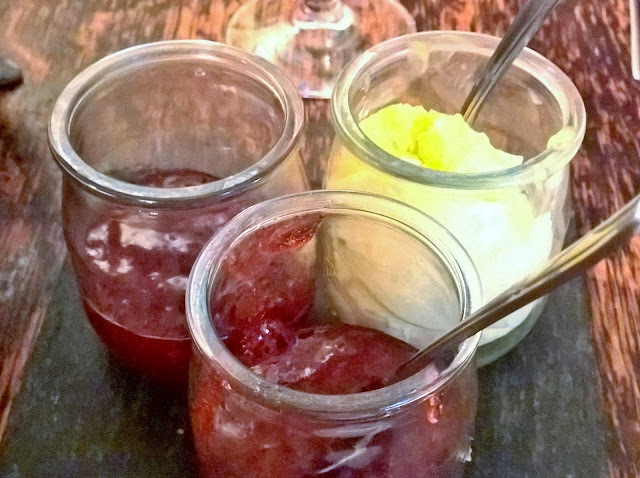 We had fruit and plain scones plus clotted cream and strawberry jam. As well as scones there were different cakes and sweets. The fruit loaf was sticky and chewy and delicious. Some of our group didn't like it that much so I had a couple of slices! 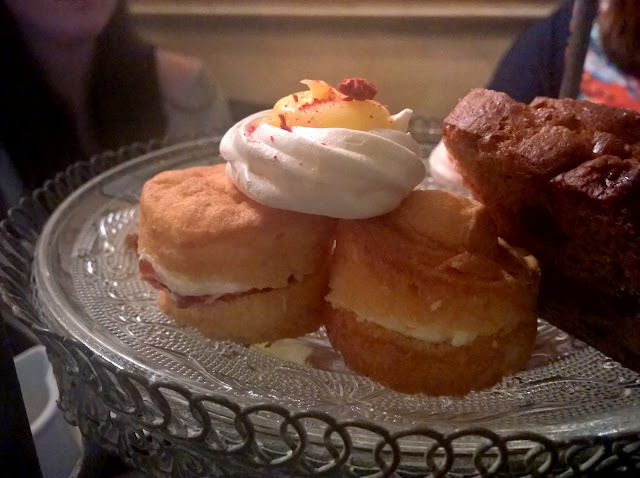 The mini Victoria sponges were light and fluffy. We also had mini meringues with lemon curd- usually you have macarons apparently but the meringues were very nice indeed. My favourite part was the little dessert- a lemon posset topped with summer fruits. 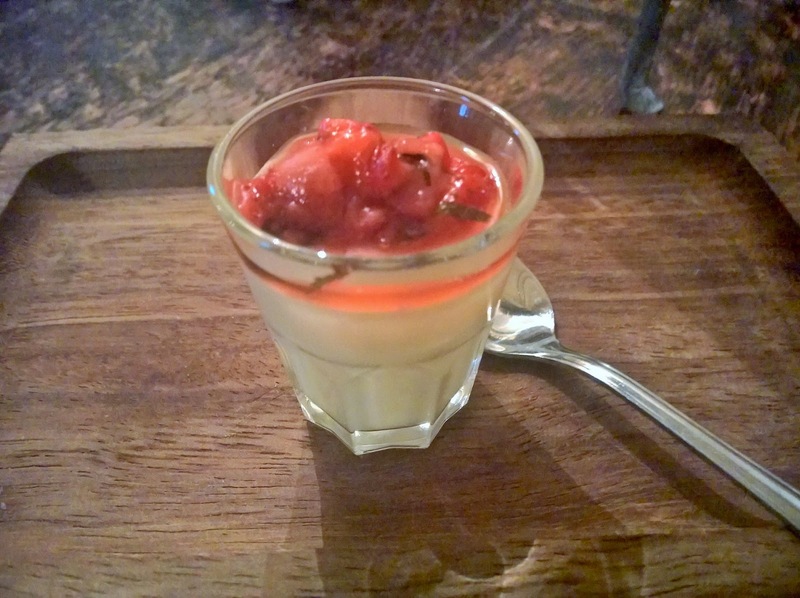 This was beautifully creamy with just the right amount of lemon sharpness. All in all a very lovely afternoon spent with Emily of Emily's Recipes and Reviews , Sophie of Penne for your Thoughts , Roz of The Foodie Couple and Laura of Full to the Brum. We all paid for our own Afternoon Teas!